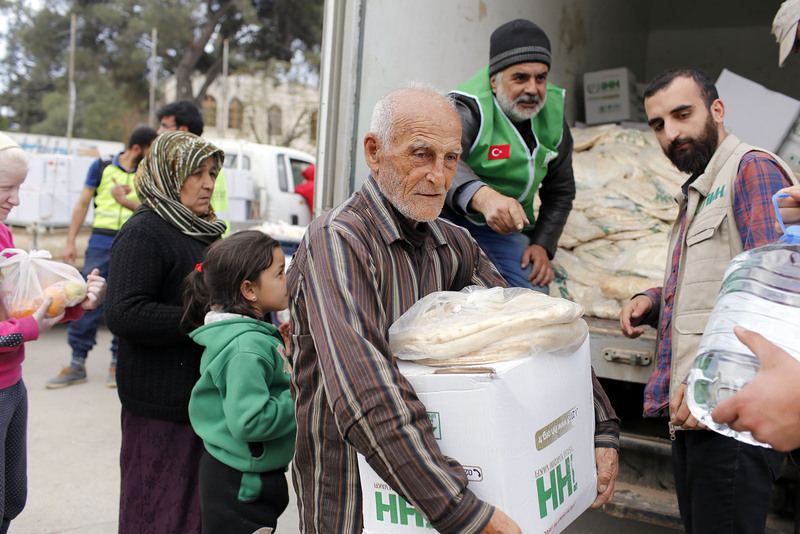 Since the beginning of Operation Olive Branch, IHH Humanitarian Relief Foundation has been a source of hope for thousands of civilians by delivering humanitarian aid to the aggrieved people living in the center of Afrin, and towns that were cleansed of terror. 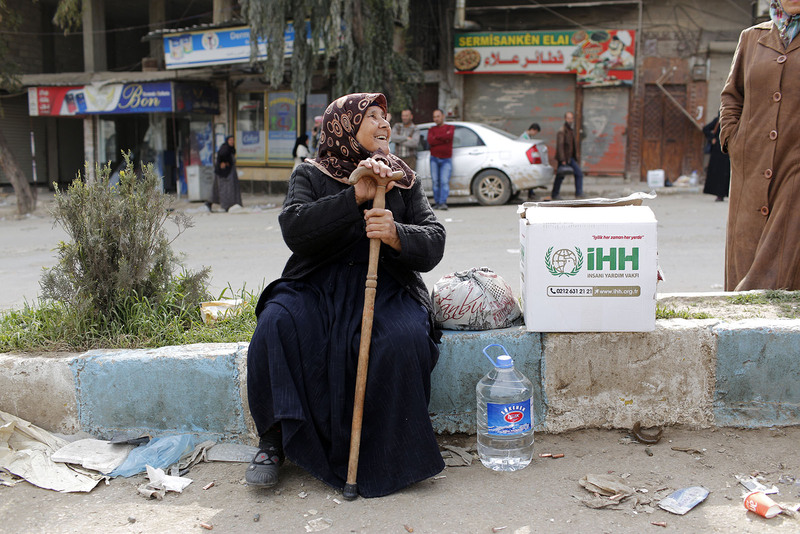 IHH Humanitarian Relief Foundation continues to deliver humanitarian aid to people who are suffering and subjected to oppression due to causes such as poverty; regions struck by disaster, war, natural disasters. In this context, by delivering humanitarian aid to all the areas and towns of Afrin that were cleansed of terror as a part of Operation Olive Branch, IHH has become a source of hope for thousands of civilians living in these areas. In addition to the distribution of aid, there is also a Mobile Soup Kitchen that has the capacity of producing hot meals for 10 thousand people on a daily basis. The Mobile Soup Kitchen that was sent to the center of Afrin will produce hot meals daily for the aggrieved civilians in the area. 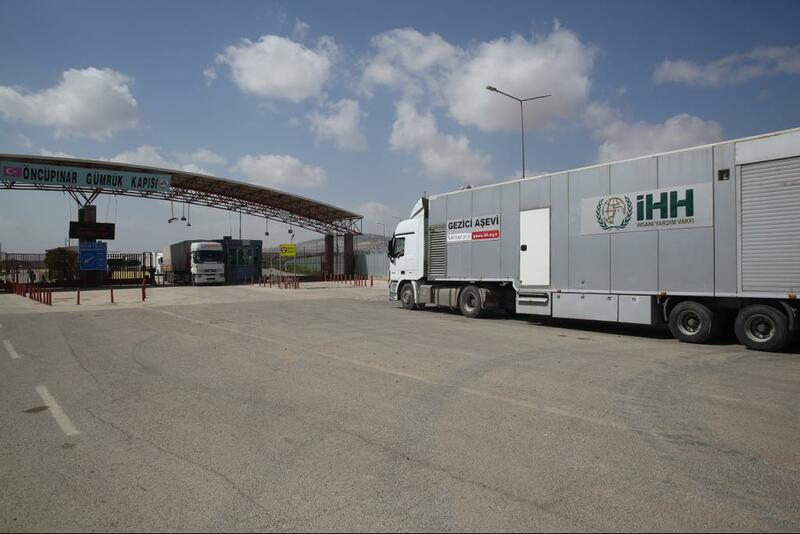 Since the Syrian crisis began, IHH, that has already delivered almost 15 thousand trucks of aid to the region, provides aid services with 843 employees and volunteers from 9 coordination centers along the border. 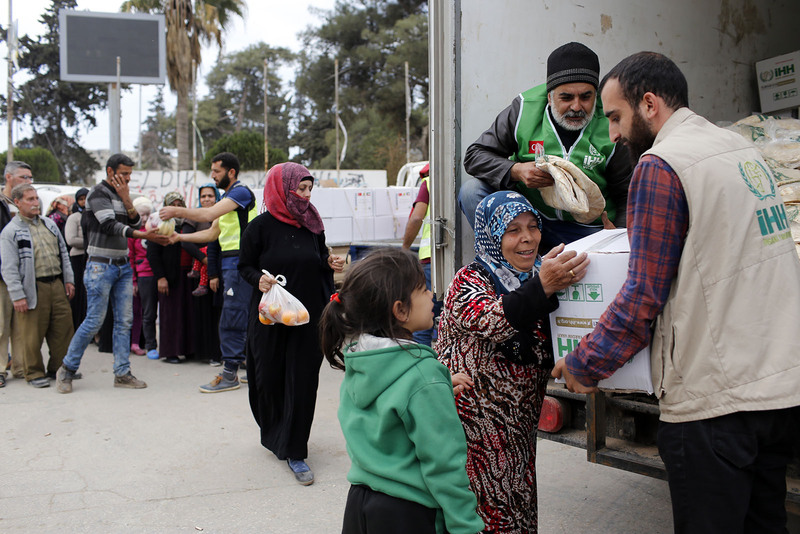 IHH Humanitarian Relief Foundation will continue to deliver and distribute humanitarian aid to the areas cleansed of terror and other areas in the region.